Groove With Urbanity Dance BOSTON! – GOSH!About: Fashion. Art. Music. Events. TV. Non Profits 'N' Lifestyle > Subscribe now! 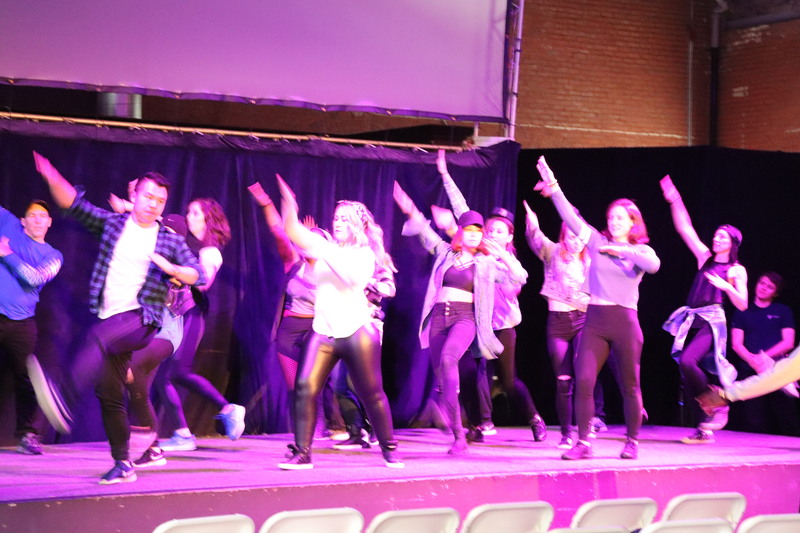 Somerville, MA, : On Saturday, March 24, 2018, dancers from all over Boston came out to watch and perform on stage at the beautiful venue, The Center for Arts at the Armory, showcasing their talent and all that they have learned from Urbanity Dance School, located in South Boston. Families, friends and the community came out to support these dancers and this amazing non-profit school. This was the beginners adult program featuring hip hop, creative dance, contemporary, tap and many more. Check out the clips below to watch the performances. Founded in 2008 by Director Betsi Graves, Urbanity Dance offers audiences a challenging, entertaining, and visionary experience. The Company’s hyper-athletic aesthetic is a true fusion, aiming to bridge the gap between concert and commercial dance. Known for its effortless curves and use of breath, Urbanity places a strong emphasis on the foundations of modern, jazz, and ballet, while also utilizing the highly detailed gesture work and hard-hitting articulation usually associated with hip-hop. Originally an all-female company, Urbanity added men to its ranks for the first time in 2014. Appreciating the attendance of live dance as a generous act in the mediated 21st century, the Company values high artistic integrity. Since its founding, Urbanity Dance has grown tremendously. The Company was voted Boston’s Best by Improper Bostonian in 2013, announced Best of Boston by Boston Magazine in 2015, recently shortlisted for Bostinno’s 50 on Fire, and named a Top Ten Critics’ Pick by The Boston Globe. Urbanity has presented at Jacob’s Pillow Dance Festival, The Alvin Ailey Citigroup Theater, The Institute of Contemporary Art, and venues across New England, New York, Virginia, Texas and Florida.